Foreword: I minored in French and it never ceases to frustrate me that I can’t get the proper accents on French words – at least easily. I went out of my way to get the one for Lancôme, but not the rest of the words listed. My apologies to anyone who cringes at this, as I do. Most of you know what a devout fan I am of Lancôme. See “Bottom line, these are awesome.” In that particular post, I laud the traits of Lancôme’s L’Extreme mascara. Their Definicils is one of their best-selling, and it is also very good. 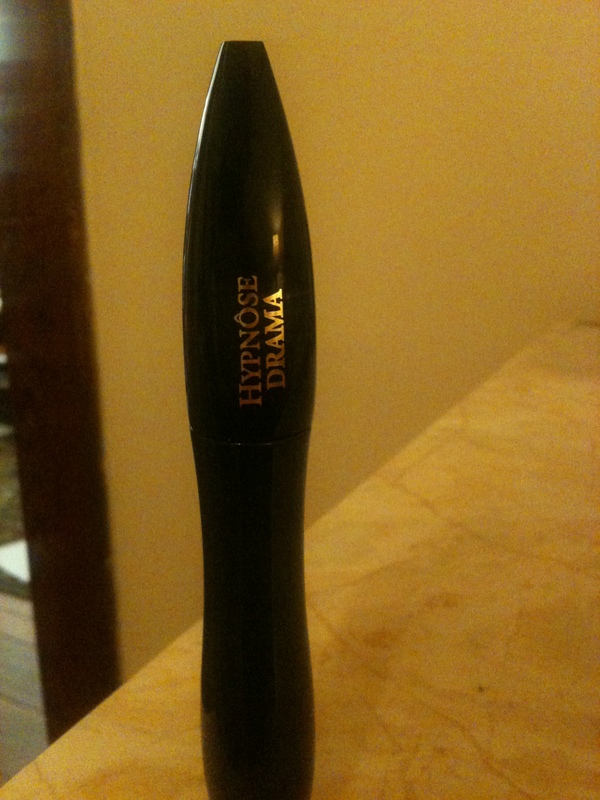 This post refers to their Hypnose Drama mascara. For some reason, I can’t get on board with the regular Hypnose, but I tried a tube of Hypnose Drama and I’m hooked. I love having mascaras that produce different effects and this one definitely gives you that lash ‘wow’ factor. It’s very black and gives the lashes lots of volume and oomph, if you will. I go between it and the L’Extreme, depending on my mood. However! I have found myself unable to splurge on Lancôme before, seeing as each tube of mascara is at least $24. Desperate times call for desperate measures and so I found myself staring at all the mascaras in my local drugstore not too long ago. I knew that there were certain brands that had good reputations and I had also remembered seeing an ad for a relatively new mascara from Maybelline….So for less than half the price of a tube of Hypnose Drama (about $11.50), I went ahead and purchased Maybelline’s Lash Stiletto mascara in black. Tada! And the results are in. This is HONESTLY the most similar mascara you will find to Lancôme. It even has the same chemical in it because it has the same funny smell. (I never thought mascara smelled before but whatever product they’re using in these two is distinct. L’Extreme doesn’t have it, nor does Definicils.) Your lashes don’t dry like twigs, it’s a very black, glossy mascara when you put it on, and your lashes look absolutely gorgeous. I’m going to post a photo below of me just wearing the mascara below. The quality isn’t amazing (it’s a tad orange) but it’s not terrible. You can definitely see my eyelashes standing out. So this is definitely on the list of Zoe Recommends. You save money and you look fabulous. Way to go, Maybelline. My hat is off to you. This is not to say that you should cut Lancôme out of your life or anything – that’d be plain ridiculous – but as a short-term alternative to the best mascara in the world, this one will do very nicely. Anybody else tried it and loved it? Leave me feedback!